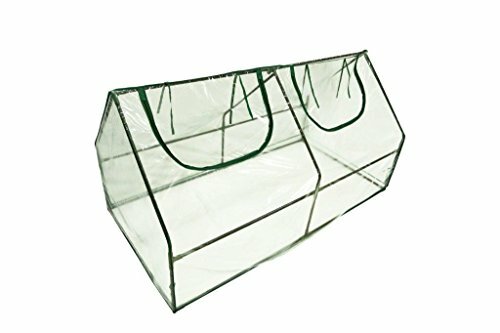 Keep your plants and seedlings thriving in this portable mini greenhouse. Also a great size for seed starters. Small enough to fit on a patio, deck, porch or balcony. 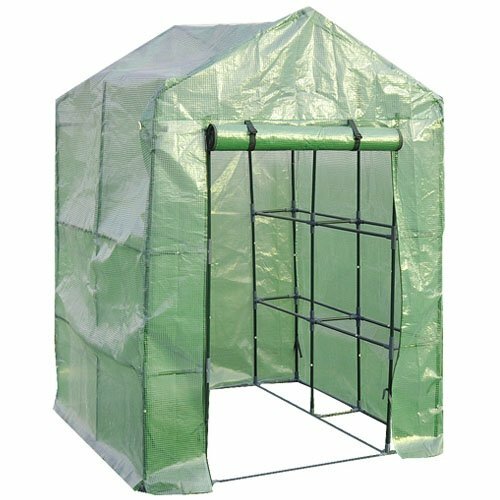 Comes with a heavy duty clear plastic cover so plants and flowers are safe from the elements. The cover zips open for easy access and can be rolled and tied to allow outside air. Easy to assemble instructions included. By Trademark Innovations.